Many of us love watching television and it is an important object of diversion during our free time. 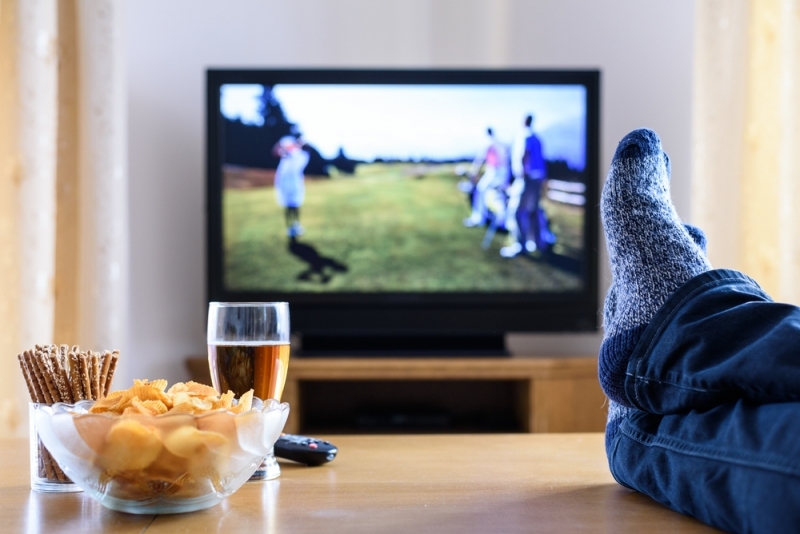 While we hang around with friends or eat our snacks, TV can be the center of the activity. Television isn’t only the focus of our attention, but can also be used to create a visual-audio background for our interaction with others. However, we should know that there are likely pros and cons associated with the activity of watching television. When watching TV, we can get laughter and entertainment. There are many things that we can find comical and funny in the television. We also love to sing along with singers and celebrities we see on the screen. Television is also the source of information and we can learn many how-to details from it. There are many things that we don’t easily learn on newspaper, books and magazines. Travel shows in the television can show us many wonderful places and we can enjoy the culture of different countries. This is a good thing if we are preparing for a trip. Certain TV programs also help us to cook great dishes with easy to follow procedures and common ingredients. Unlike mobile devices, televisions are social devices. They can be used to bond with family and friends during our spare time. We could choose the right channel, so we are able to discuss interesting things and laugh with others on specific topics. This is certainly an exciting experience. Television also provides us with a degree of awareness and alertness. Latest local news and weather reports can get us prepared more easily against any kind of eventuality. We will be able to make the right decision based on what’s happening on our surrounding. When there’s an incoming hurricane, we could fortify our home or simply leave the area, when it is expected to be serious enough. There are obviously some drawbacks when we spend much of our time watching television. This activity may contribute in causing decline in our creativity and imagination. People may argue that many TV shows seem to be very imaginative. However, it also means that our imagination is limited to only what we see on TV and it will expand slightly beyond that. Television feeds us with creative and imaginative content, causing us to stop doing it on our own. Watching television isn’t an active physical activity and this may result in numerous health issues. The problem becomes worse due to the fact that people don’t habitually eat fruits and veggies when they watch TV. Another big concern is that television could actually make us lazy. When watching television, it is likely that we won’t do things that are productive. We could procrastinate, causing problems later on. It is not always possible to do house chores or home work while watching television. Television also doesn’t always teach us good values. Many TV series try to attract attention by simply being outrageous, instead of providing good storyline.